There has been a debate going on regarding the effects of certain pesticides—specifically those containing neonicotinoids—on honeybees and other pollinating insects. 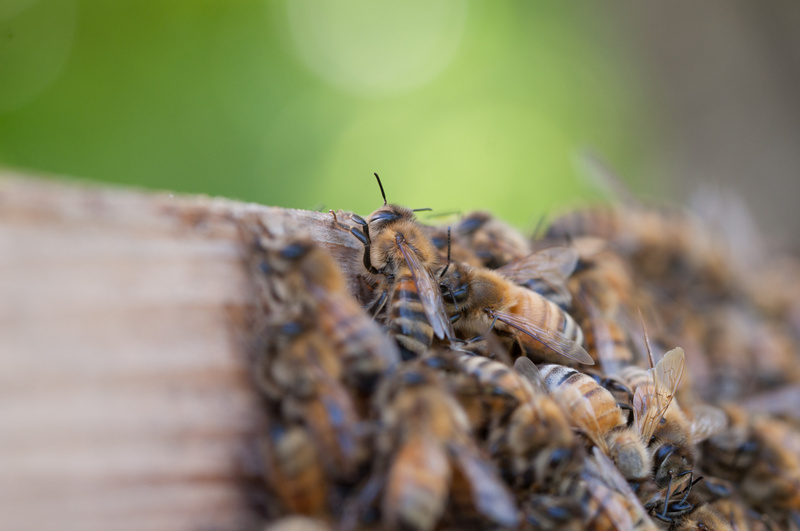 As per this debate, the EPA is currently investigating the possibility of these harmful pesticides contributing to colony collapse disorder (CCD)—the sudden disappearance of worker bees for no plausible reason. The state of Maryland even passed legislation recently banning retail sale and household use of neonicotinoids, and the next to follow suit in that state’s direction of safer pesticides is the Scotts Miracle-Gro Company. As of this past week, Scotts Miracle-Gro has decided to cease production of neonicotinoid insecticides for its Ortho brand lawn and garden care products and will be expanding its selection of non-neonicotinoid products, eliminating harmful ingredients by 2017. According to the Ortho brand’s general manager, Tim Martin, “This decision comes after careful consideration regarding the range of possible threats to honeybees and other pollinators.” Martin went on further to say the EPA is still investigating the overall effect of neonics on honeybees and other pollinators, but Scotts Miracle-Gro went forward with its decision due to neonicotinoids being confirmed harmful to pollinators when coated on at least some plants (cotton and citrus) rather than all plants (berries, corn, tobacco). Scotts Miracle-Gro has also entered a multiyear partnership with the Pollinator Stewardship Council, a US pollinator advocacy organization and supporter of more than 550 beekeepers throughout the country, according to the Wall Street Journal. This collaboration even goes so far as Scotts Miracle-Gro working with the council and other partners to urge government agencies to use different labelling language to help consumers identify non-neonicotinoid pesticides. With the EPA still investigating the risks of neonicotinoids when on certain plants, there are those like entomologist Dennis van Engelsdorp who understand the risk associated with these pesticides, but also state “neonics are not a major driver of colony loss,” given the presence of other key factors (diseases, lack of nutrition). Even though other factors are present, it’s likely that neonics are overused and relied on too heavily when in the hands of less experienced growers and farmers. The fact that such practices cannot be realistically regulated, many are looking at Scotts Miracle-Gro and giving high praise for its decision to cease production of controversial products. The potential dangers associated with chemical pesticides may likely continue the debate for quite a few years into the future and open up popularity for localized solutions, which may end up being best for honeybees and other pollinators. There will be more information once the EPA finishes its reviews and studies, but until then closer attention to the ingredients in your pesticide of choice would likely benefit not just the honeybees but also everyone at home.